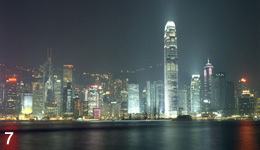 Both in its urban and rural areas, Hong Kong’s landscape offers a wealth of visual drama and experience. Our landscapes are places that we should treasure for their beauty, for the recreational resources they provide and also for the contribution they make to our natural and cultural heritage. Just a few of the most scenic or memorable of these landscapes are shown here. At the back of this pamphlet, we provide you with a systematic classification of our landscape resources. The Man-made Landscape - The Urban Area of Hong Kong Island and Kowloon There is a dizzying sense of drama and verticality to the landscape of Central (Photo No.1) which is shared by much of the urban landscape of Hong Kong Island and Kowloon. From the vibrant, bustling markets of Kowloon to the prestigious commercial landscapes of Central, it is a landscape of great contrast and richness of detail. It includes buildings which span more than 100 years of history, streets of all sizes, from tiny winding alleyways to the wide boulevard of Nathan Road (Photo No.2), as well as extensive public parks and gardens. A Tranquil Shore - The East Coast of the New Territories Nowhere in Hong Kong possesses the sense of isolation and tranquility of the east coast of the New Territories. Here, steep upland peaks sweep dramatically down to the sea, forming spectacular cliffs, rock formations such as those near High Island Reservoir (Photo No.3) and deserted offshore islands. All along the coast lie remote bays, inlets and isolated beaches, the best known being those at Tai Long Wan in Sai Kung (Photo No.4). Largely unpopulated except for occasional villages, much of this landscape possesses a visual drama and a sense of remoteness which lingers long in the memory. One of Hong Kong’s Last Areas of Untouched Countryside - West Lantau Vast and imposing, the uplands of West Lantau form one of the last areas of untouched countryside in Hong Kong. Here, rocky streams, such as the one in Sham Wat (Photo No.5) tumble down from steep grass-covered mountains. Across the mountain sides lie boulders, crags and cliffs, whilst below these uplands, are monasteries nestling in the hills. Ringed by the mountains of west Lantau, the isolated upland plateau at Ngong Ping is home to the giant statue of the Tian Tan Buddha (Photo No.6), which is itself one of the most striking images of the Hong Kong landscape. A Meeting of City, Sea and Mountains - Victoria Harbour Ringed by mountains and boasting one of the world’s great urban waterfronts (Photo No.7), Victoria Harbour is an unique landscape formed by the close combination of city, sea and mountains. The Harbour itself, with its vibrant mixture of marine craft, only adds to the diversity and drama of this landscape. The view of the Harbour from Victoria Peak (Photo No.8) is perhaps the most immediately memorable landscape image of Hong Kong. Between the Tides - the Coast of the North-west New Territories When one stands on the tranquil west coast of the New Territories at Lau Fau Shan (Photo No.9), the bustling urban areas of Kowloon and Hong Kong Island feel very far away. 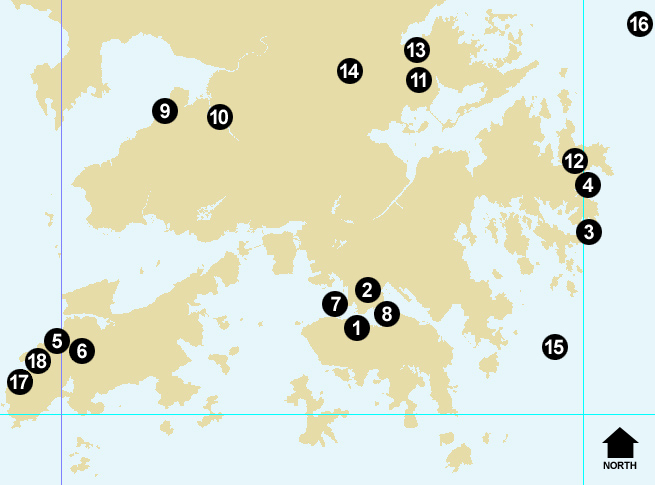 The coastal plain of the north-west New Territories forms a landscape that is almost as much water as it is land. 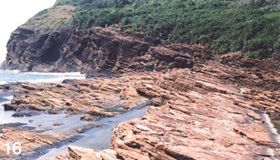 North-east of Lau Fau Shan, lie extensive landscapes of fish ponds and gei wais at Nam Sang Wai and Deep Bay (Photo No.10). Still further up the coast at Mai Po lie landscapes of mud flat, reed bed and mangrove. Almost as much water as they are land, these landscapes offer a tangible sense of tranquility and an abundance of wildlife. 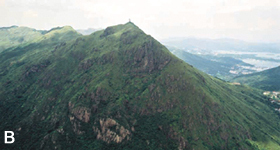 The Top of Hong Kong’s - The Peaks of The New Territories Across the central and northern New Territories lies a chain of massive and spectacular mountain peaks. 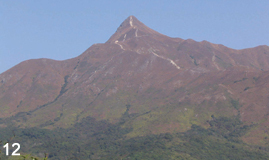 These include the dramatic ridge of Pat Sin Leng / Wong Leng (Photo No.11), Tai Mo Shan (the highest peak in Hong Kong), Ma On Shan; and Sharp Peak (Photo No.12). 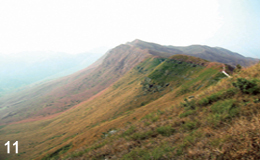 Above the tree line, these landscapes are rugged and exposed, with a covering of short grasses and low scrub, rocky outcrops and occasional streams. They are as remarkable for their dramatic topography and sense of remoteness as the stunning views that they offer across the New Territories. Villages In The Landscape - The Lowlands and Villages of the Northern New Territories In the north and north-east New Territories are low-lying landscapes where one can still experience a sense of what much of Hong Kong’s rural landscape has been like for hundreds of years. 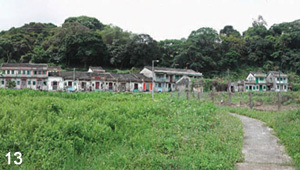 In places such as Fung Hang Village (Photo No.13), traditional villages sit in front of blocks of fung shui woodland, facing what would have once been a patchwork of fields in front, which are watered by meandering streams. 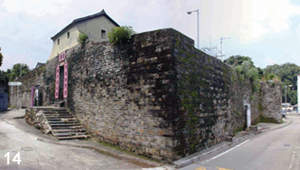 The villages, which include walled villages such as Lo Wai in Lung Yeuk Tau (Photo No.14), are connected by lanes and paths which wind through the countryside. Today, these landscapes are changing rapidly as farming is discontinued, but where they still exist, they remain the few places where one can experience a sense of Hong Kong’s rural landscape past. 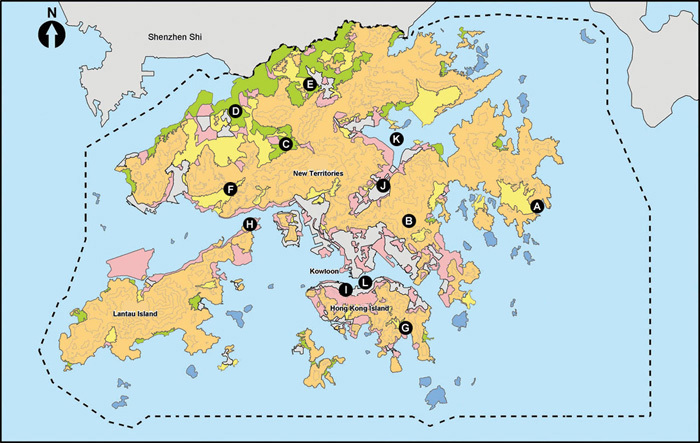 The Land in the Sea - Hong Kong’s Island Landscapes Given Hong Kong’s coastal location, the relationship of the land to the sea is a defining characteristic of much of its landscape and this relationship is perhaps most obvious in Hong Kong’s hundreds of offshore islands. Many of these, such as the Ninepin Group (Photo No.15) are little larger than rocks whilst others, such as Tung Ping Chau (Photo No.16) are large enough to have supported populations in the past. 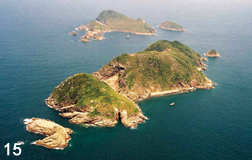 Like Tung Ping Chau and the Ninepin Group, many of these islands possess spectacular coastal rock formations, quiet beaches and a rich wildlife. For their dramatic forms and stunning coastal settings, there are few landscapes in Hong Kong to equal them. 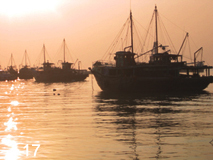 Hong Kong’s Traditional Fishing Village - Tai O Nestling at the foot of the mountains of western Lantau, the village of Tai O is one of Hong Kong’s oldest fishing settlements (Photo No.17). It lies in a wide bay in front of a small coastal plain and the village itself is remarkable for having retained in large part, its traditional form and character. 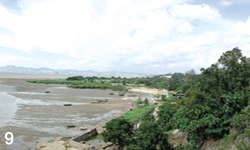 It is particularly known for its extensive settlement of stilt houses sitting in the water (Photo No.18). This fusion of water and built structures is unique in Hong Kong and forms a striking landscape that is as important for its cultural, as for its scenic values. For a relatively small region, Hong Kong is blessed with a range of landscape that is stunning in its richness and diversity. Although these landscapes take many forms and offer a variety of differing experiences, they can all be said to fall into one of six basic types. The Upland Countryside Landscape - The Backbone of Hong Kong’s Landscape The rugged and dramatic form of Kowloon Peak (Photo B) with its covering off grass and scrub and spectacular views across the surrounding countryside is typical of much of the Upland Countryside, which forms the most common type of landscape in Hong Kong. 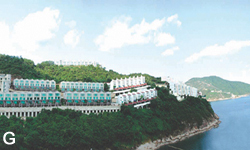 Where these mountains come down to the sea they form spectacular cliffs, headlands and tranquil beaches, such as those at Long Ke Wan (Photo A). The Lowland Countryside Landscape - The Settled Rural Landscape A sense of rural tranquility pervades the landscapes of Shek Kong (Photo C) and Nam Sang Wai (Photo D). In Lowland Countryside like this, one can still experience fragments of traditional Hong Kong lowland landscapes, in which one typically finds small fields, fish ponds, villages, scattered blocks of fung shui woodland, as well as lanes winding through the countryside. 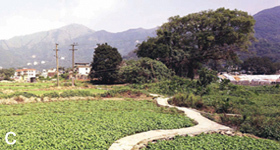 The Rural Fringe Landscape - Rural Landscapes in Transition Fanling and Tuen Mun were once traditional rural landscapes typical of many across Hong Kong. However, like many areas of Hong Kong, changes in rural land use during the twentieth century have created some rural fringe landscapes. 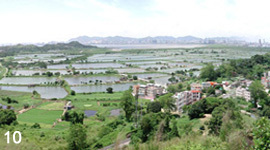 These new landscapes include the golf course at the outskirts of Fanling (Photo E), or reservoir in Tai Lam Country Park (Photo F), are essentially still countryside, but with a somewhat different character, resulting from these new land uses. The Urban Fringe Landscape - The Edges of the City At the edges of the urban areas, the landscape goes through a transition from urban to rural. This zone is known as the Urban Fringe Landscape. These areas consist of a diverse mixture of natural and man-made features and include areas of natural hillside and vegetation; areas of prestige housing such as that at Redhill Peninsula (Photo G); hospitals; cemeteries and highways infrastructure, such as the spectacular Kap Shui Mun Bridge (Photo H). The Urban Landscape - The Landscapes of Town and City The proportion of Hong Kong’s land area that is fully urbanised is actually very small and yet this Urban Landscape is some of the most striking of any in Hong Kong. In Central (Photo I) one finds a variety of landscape features side by side, including parks and gardens, prestigious modern developments and historic buildings. 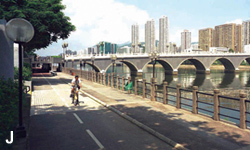 In Sha Tin New Town (Photo J), the urban landscape was formed in large part by arranging the town around the Shing Mun River. The Coastal Waters Landscape - The ‘Seascape’ There is an enormous sense of simple grandeur and space in the coastal landscape of Tolo Harbour (Photo K). By contrast, Causeway Bay Typhoon Shelter (Photo L) is a much smaller coastal landscape alive with the colours and shapes of vessels of all kinds. Though of differing scales, both are good examples of Hong Kong’s Coastal Waters Landscape, one of our greatest landscape assets. 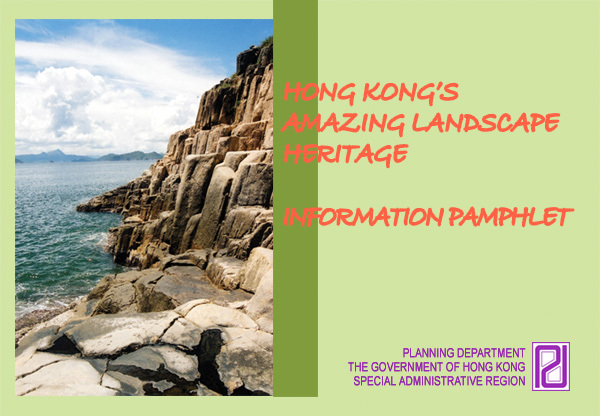 This information pamphlet provides a summary of the survey findings of landscape resources in Hong Kong, collected in a recent study entitled “Landscape Value Mapping of Hong Kong” conducted by Planning Department and completed in July 2005. 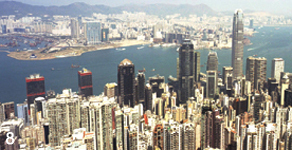 17/F, North Point Government Offices, 333 Java Road, North Point, Hong Kong. 14/F, Sha Tin Government Offices, 1 Sheung Wo Che Road, Sha Tin, New Territories.